The home of the UMass Men's and Women's soccer teams, Rudd Field opened in the fall of 2002. The field includes a 120 by 75 yard sand-based natural turf playing surface. The scoreboard features 100 percent solid state electronics, and also provides message centers and sponsor panels. Funding for Rudd Field was made possible by a commitment from the Rudd Family Foundation. 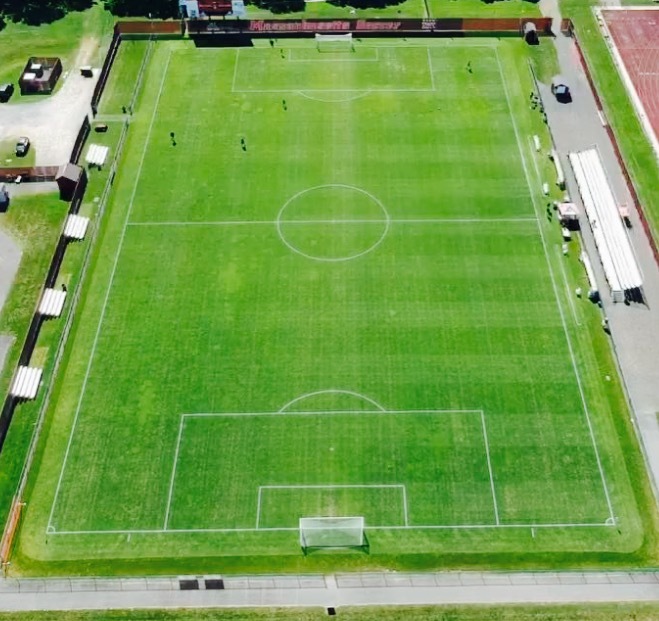 The UMass Men's Soccer team holds a 25-10-5 record on Rudd Field since 2015. McGuirk Alumni Stadium has served as the home of Minuteman football since 1965. 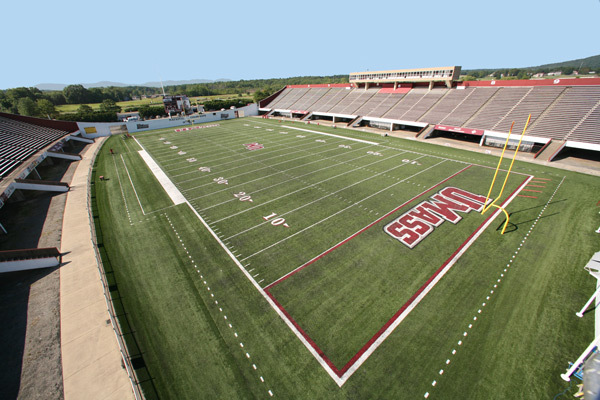 With a capacity of 17,000 fans, McGuirk Stadium has been a definite home field advantage for UMass over the years. The facility also dedicated the new Martin & Richard Jacobson Press & Skybox Complex prior to the 2014 campaign. The stadium is also the site of UMass' graduation ceremonies, and hosted the 1987 NCAA women's soccer championship. The Hunt Room is located in the recently constructed Football Performance Center, which is positioned at the North End of McGuirk stadium. We hold our college recruiting discussion in this large meeting space overlooking McGuirk Alumni Stadium. The University of Massachusetts dining commons is the leader in the collegiate dining industry, which is backed by the Princeton Review's #1 ranking for three straight years (2016-2018). Hampshire dining commons newly renovated state-of-the-art facility has a contemporary New England theme with 12 concepts designed around UMass Dining Services’ four guiding principles: Healthy Eating, Sustainability, World Flavors, and Community. The goal of Hampshire DC is to be one of the healthiest and most sustainable dining operations in the nation. This will be done through serving minimally processed foods and more plant-based items at peak season, less red meat, more sustainable seafood and healthier oils, fats, and beverages.